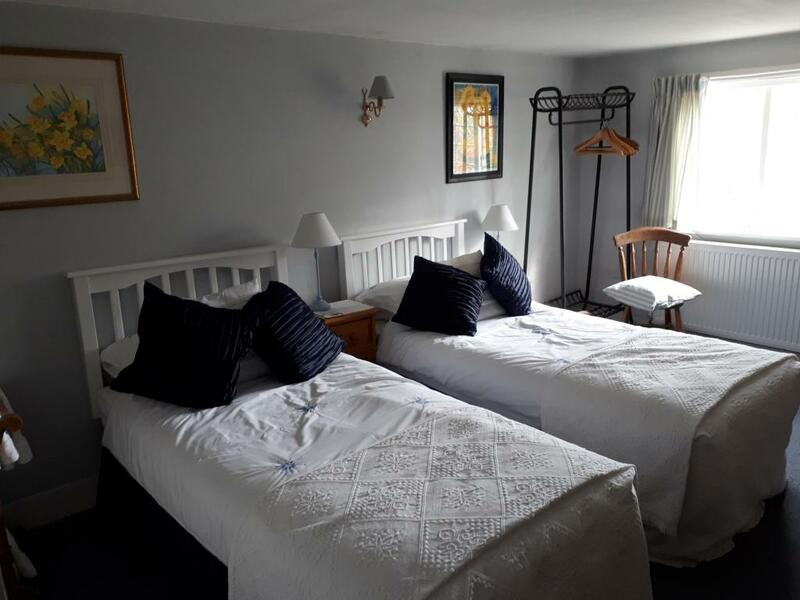 These rooms have Super King beds which also can be broken into twin beds should you require . 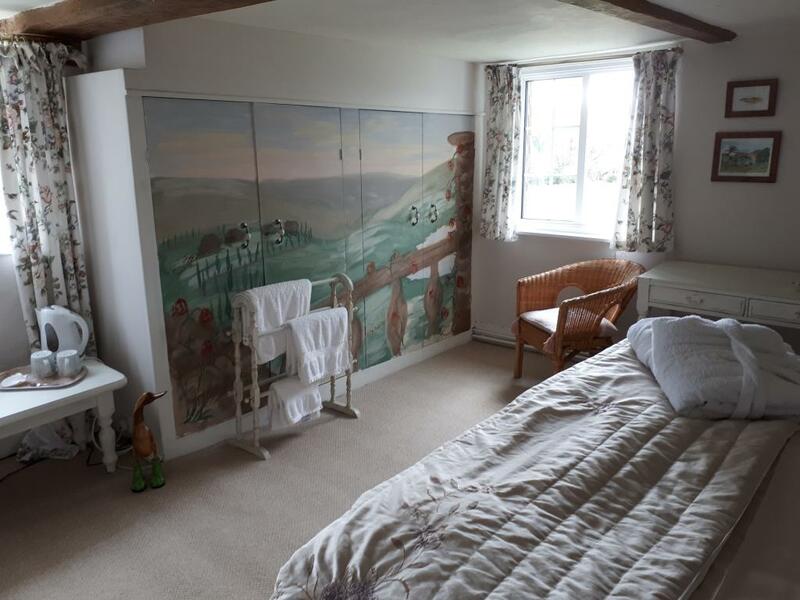 They have views over the surroundings fields and garden. Beams and bespoke furniture make each room individual. 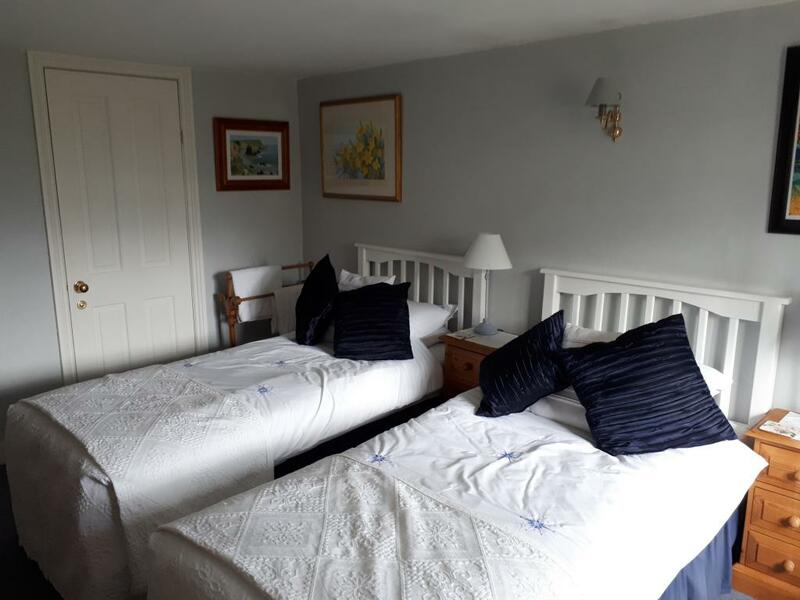 Comfortable beds made up with coordinating quality bedding and quilts in rooms that are tastefully decorated in keeping with our lovely old house. 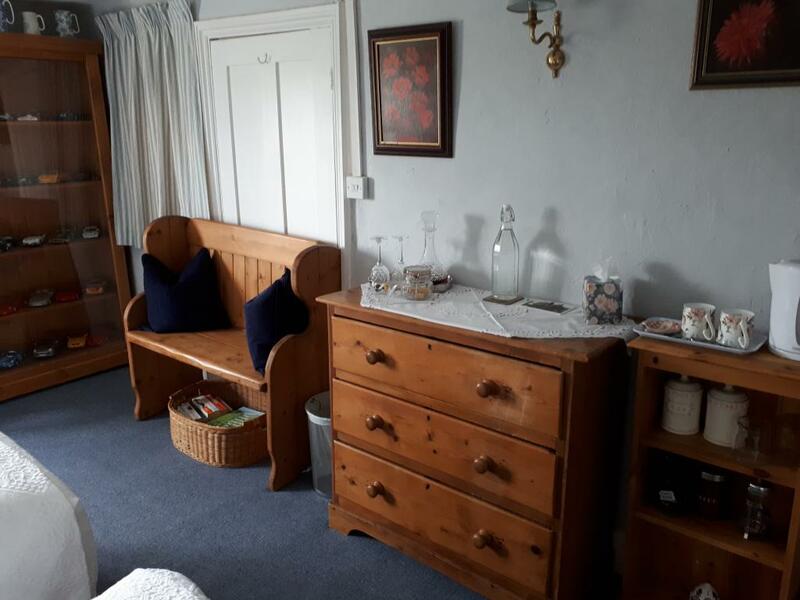 There are water, tea and coffee making facilities in each room, with chocolates and shortbread. 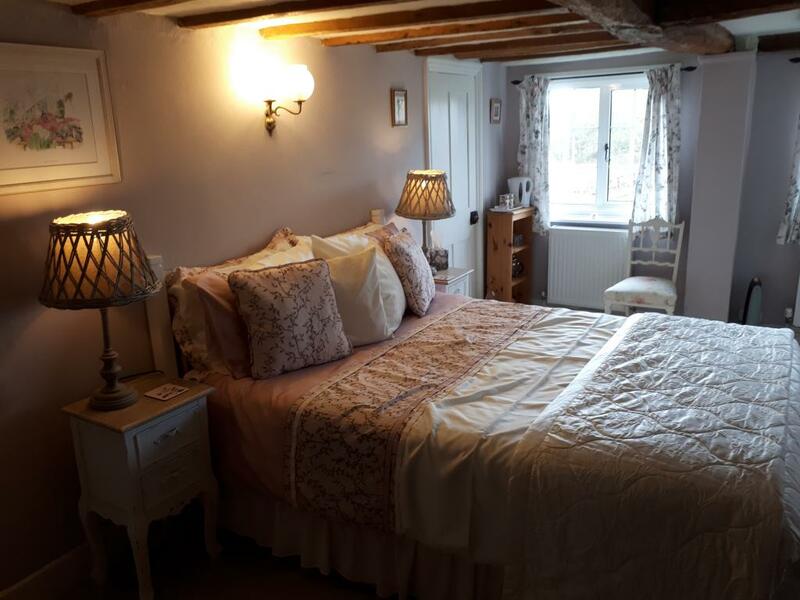 Glasses and a decanter of port are in each room to help you relax in the peace of the countryside. 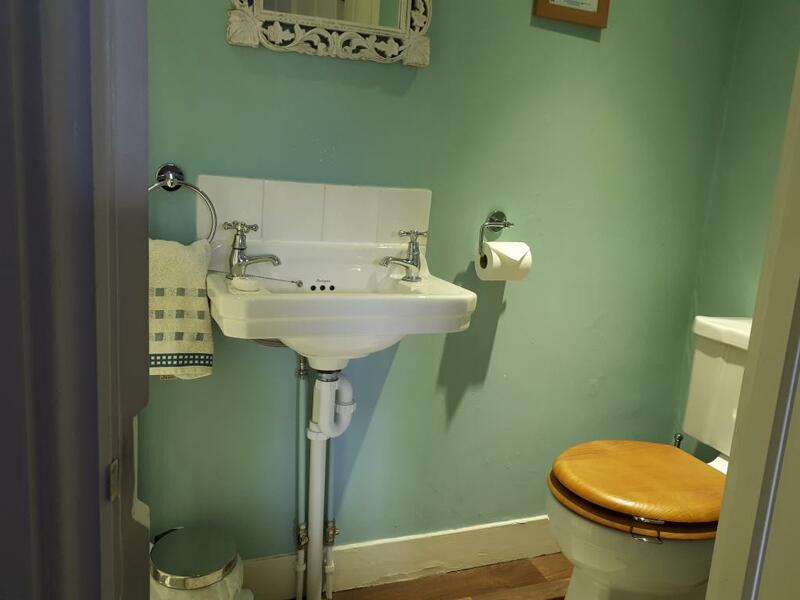 The bathrooms are modern and comfortable with fresh cream towels and The White Company body products for your use. 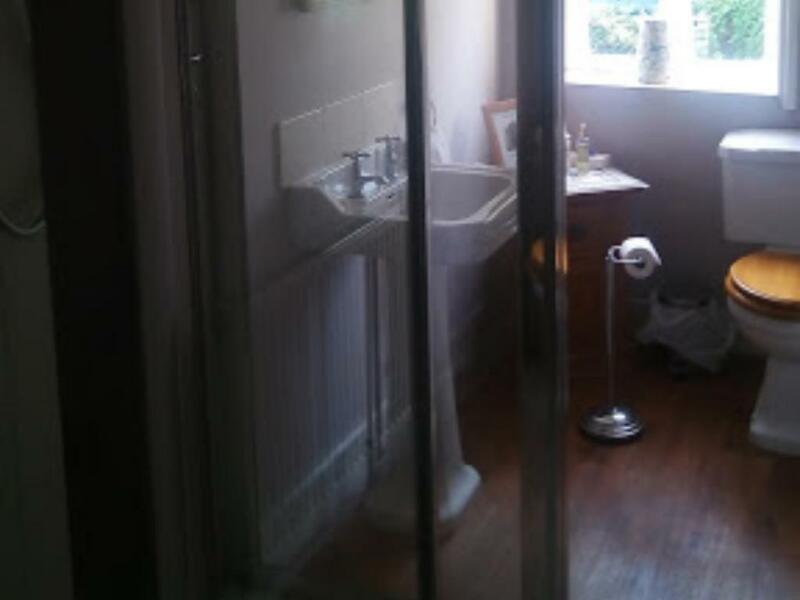 There are modern showers in our bright and airy bathrooms. There is an iron available should you need it. 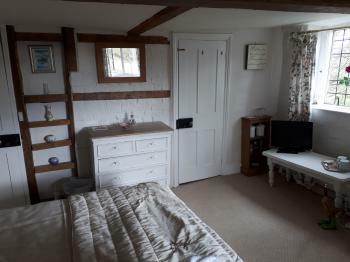 Each room has a TV and books and magazines for you to browse in quiet moments. 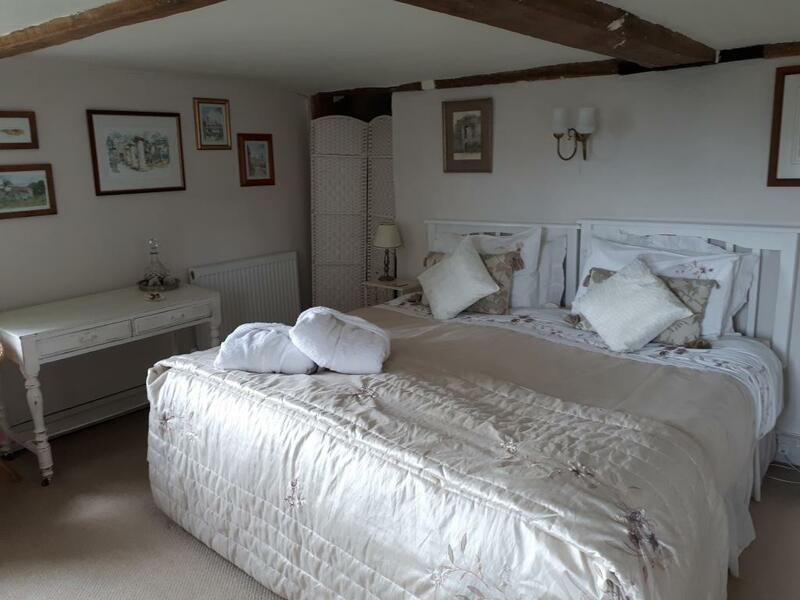 This room has a Kingsize bed . 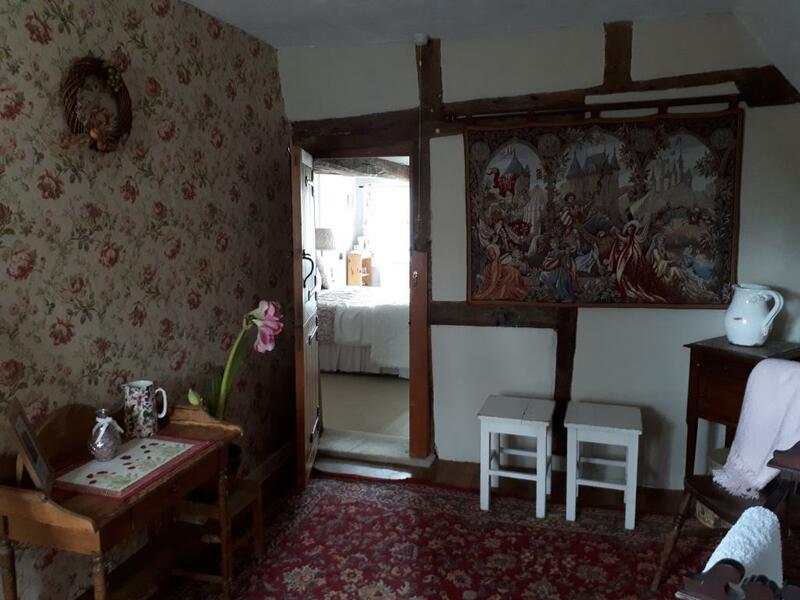 it has views over the surroundings fields and garden. Beams and bespoke furniture make this a delightful room. 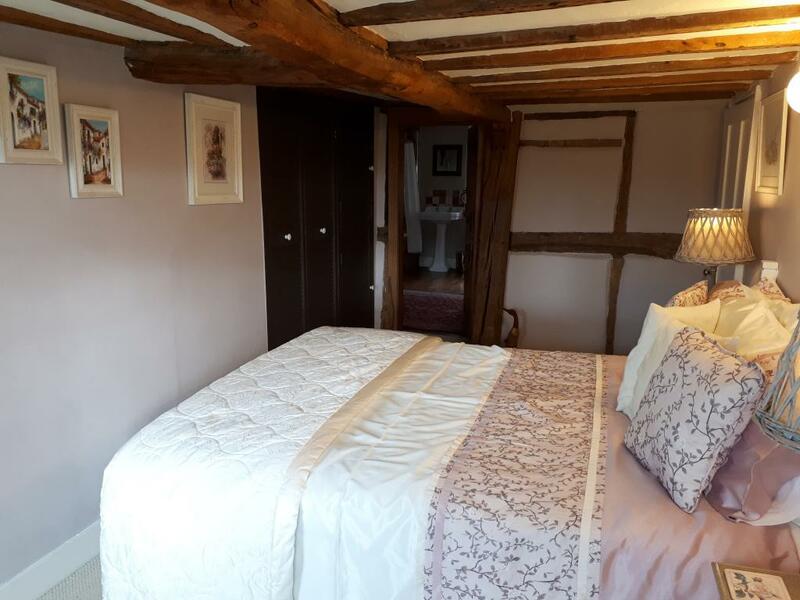 The bed is comfortable, made up with coordinating quality bedding and quilts in a room that are tastefully decorated in keeping with our lovely old house. There is water, tea and coffee making facilities, with chocolates and shortbread. Glasses and a decanter of port,should you like it, help you relax in the peace of the countryside. 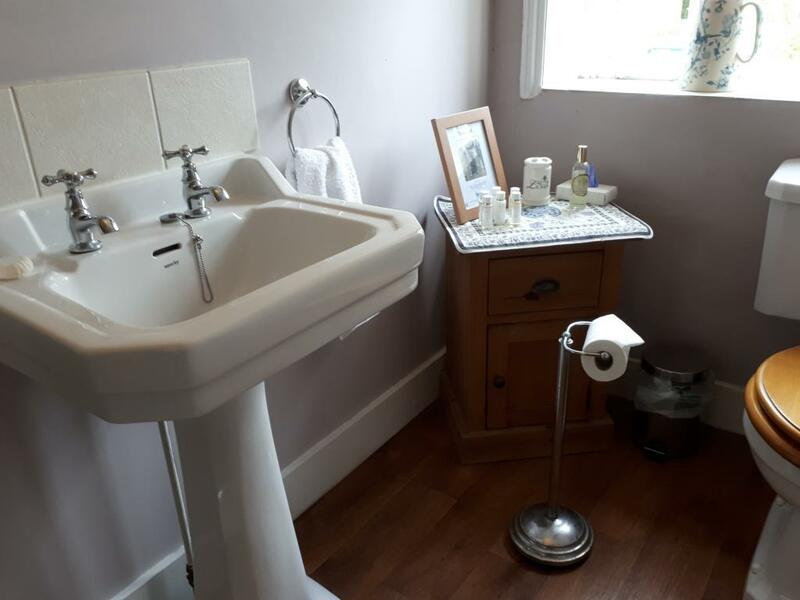 The bathroom is large, modern and comfortable with fresh cream towels and The White Company body products for your use. 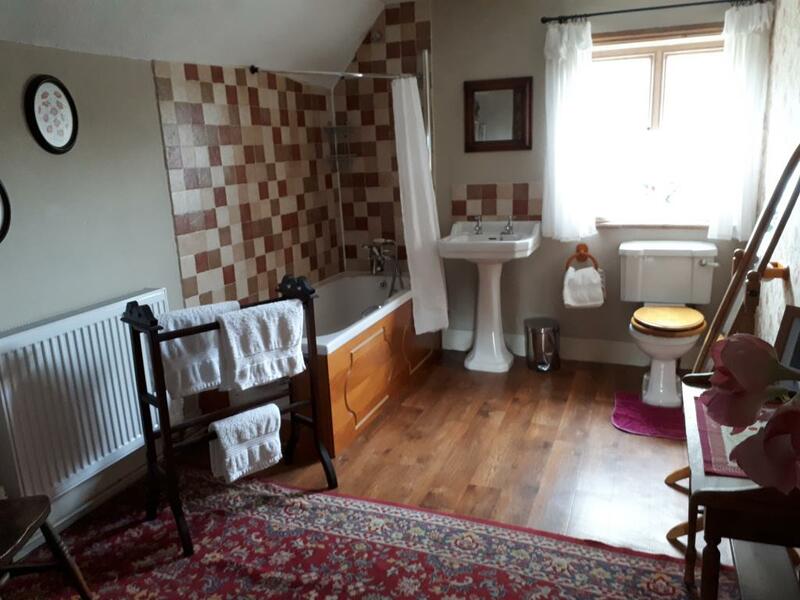 there is a bath with a shower over to relax in There is an iron available should you need it. 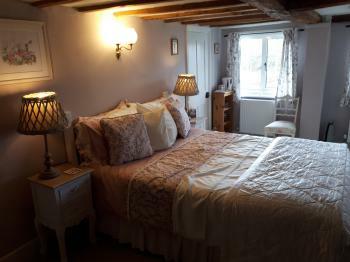 Each room has a TV and books and magazines for you to browse in quiet moments.